For the second time in its two-year history, in a small space that’s easy to miss on a leafy Palo Alto street, the boutique venture firm Pejman Mar brought together seven startups yesterday to present their fledgling ideas to some of the best early-stage investors in the startup industry. Roelof Botha of Sequoia Capital was there, as were local investors Jeff Clavier, Manu Kumar, and Kent Goldman. There was also a contingent of bearded VCs, who’d driven over from their respective Sand Hill Road firms. “It looks like we dressed each other today,” joked one to another who was wearing a similar shirt. 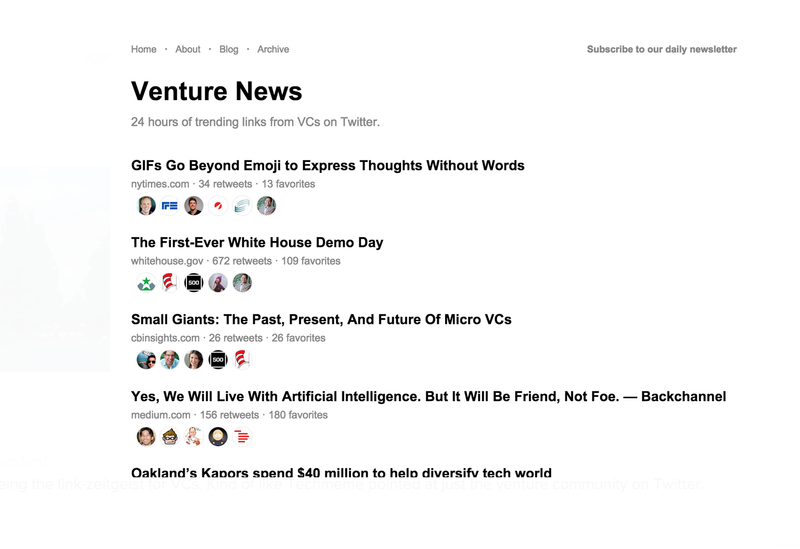 The investors had come partly because the presenting teams all have ties to Stanford. Some of them haven’t graduated. Others have advanced engineering degrees. Almost all camp out regularly at Pejman Mar’s simple but cheery offices, batting around ideas and, sometimes, receiving a $15,000 to $25,000 convertible note from Pejman Mar in the process. The investors had also come because the founders of Pejman Mar – Mar Hershenson, a serial entrepreneur from Spain, and Pejman Nozad, a former rug dealer known for his networking and smart, early bets like Dropbox — “invest in real relationships and not just deals,” said one VC. “There isn’t this shroud of secrecy around the teams they’re working with,” chimed in another investor. “Smaller is better,” said one top investor, comparing the event to Y Combinator’s large-scale Demo Days, which now draw several hundred investors and feature more than 100 startups. By focusing on far fewer teams, this person suggested, Pejman Mar’s imprimatur is quickly becoming as interesting. Certainly, the young firm seems off to a strong start. Among its roughly 30 bets to date are DoorDash, Guardant Health, Branch, and Washio, which have raised significant rounds of follow-on funding from firms like Sequoia Capital, Khosla Ventures, New Enterprise Associates and Canaan Partners. Another company that Pejman Mar mentored and which presented at its inaugural demo day last year — Fancy That — was acquired by Palantir Technologies for undisclosed terms in February. The firm has also seen its first big miss with the home cleaning startup Homejoy, which recently shuttered. Of course, yesterday, we were mostly interested in what the assembled investors thought of the presenting line-up. What follows are snapshots of those companies, as well as some of the feedback we received about them. Note: We talked with a handful of investors expressly about their top picks. Other VCs in attendance may have had other favorites. Captionly, run by several machine-learning experts, promises to “make your video content actionable,” through a proprietary video analysis algorithm that it says can enable streaming video companies like Periscope to offer real-time personalization to each of its customers, as well as to help broadcasters like CNN understand not only who is watching a program but what they are watching and why they’re tuning in and out. 1 Concern is a “disaster solutions company” that aims to provide rapid damage estimates during natural disasters by using artificial intelligence and natural phenomena science. Loosely, the company plans to take unstructured data about geographies, map it out, and provide it to emergency responders — along with real-time pictures and other data — during disasters. The idea is to make those responders aware of where the real damage is, and how they should prioritize their efforts, (both of which are astonishingly hard to assess when it’s crunch time). Ultimately, the company hopes to use all that data to enter a much bigger market: insurance. JoinedApp is a service integration platform for apps. According to the founders (including a Stanford PhD), $3 billion has been spent in the past year on so-called glue code, meaning the type of code a developer has to write to integrate an app into a device. JoinedApp says its freemium platform for developers acts as a universal hub for apps, devices, and services, so that everything becomes interconnected. Someone with a heath fitness app, for example, could easily layer in a news feed for users, messaging, an activity tracker, location-based services and more –all without writing any more code. This was one of our favorites, partly because while the service integration market is huge, the company’s real ambition is to build on all the user data it will collect to create a business intelligence business whose market opportunity is three times larger. Meanwhile, a VC who has made a career of betting on mobile development startups, told us he was “intrigued,” but he seemed more interested in some of the other startups. 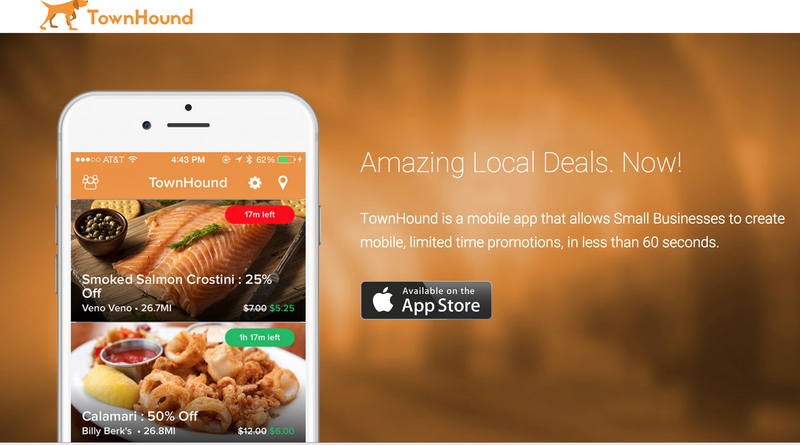 TownHound aims to help local restaurants boost their profits by helping them create real-time, utilization-based mobile offers. The company didn’t come up in our conversations with investors, but it combines numerous trends that VCs favor right now. It also intends to get its marketing and analytics platform into all small businesses eventually — not just restaurants. Mindly is an on-demand platform for home-based therapy. Telemedicine is hot. and virtual, on-demand mental health visits are becoming especially popular, particularly with VCs. Private aircraft charter is a $9 billion market, according to IBISWorld, but it isn’t convenient, JetInsight argues, owing to an extremely fragmented charter booking market with something like 10,000 aircraft and 2,000 operators. Right now, booking a trip can take days; meanwhile, operators can’t monetize their inventory, often because potential customers don’t even know they exist. By applying an OpenTable model to the industry — essentially a reservation system for operators that allows consumers to book instantly — JetInsight thinks it can disrupt this “antiquated” and “broken” structure. After 1 Concern, this was one investor’s second-favorite company, he told us, suggesting that ultimately, it could make a perfect partner (or more) for Uber.